If you are just passing through town, we charge a drop in fee of $20 per day, or the purchase of a CrossFit FireBall T-Shirt for $30 and that will cover drop in fee. Please plan on arriving 15 minutes before scheduled class time so we can provide you with a waiver to sign (our insurance friends make us do this) and introduce you to our box. You can find our class schedule here. You may find that CrossFit Fireball does things a little differently than your “box back home.” We hope that you enjoy the change in scenery, clientele, maybe even music. If anything makes you uncomfortable, however, please don’t hesitate to let us know. If you are an experienced CrossFitter who would like to join CrossFit Fireball, great! We are thrilled to welcome you. Every member, regardless of fitness level, must participate on our On-Ramp classes. 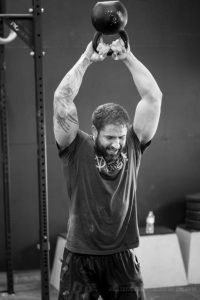 However, if you are already familiar with CrossFit methodologies and have trained in another certified location, you may be join group CrossFit classes right away.